PAANERI, recognize your confidentiality and are committed to protecting your privacy. PAANERI does not furnish any identifiable information at the individual level. The information you give to us is held with the utmost care and security. This information is collected primarily to ensure that we are able to fulfill your requirements and to deliver you a truly personalized shopping experience. The personal information about you is not collected automatically or without your knowledge. PAANERI also bound to cooperate fully should a situation arise where we are required by law or legal process to provide information about a customer. We may share non-personal, non-individual statistical or demographic information in aggregate form with our marketing partners, advertisers or other third-parties for research and advertising purposes. In other words, we will not tell our marketing partners that you purchased a specific product, but we may tell them how many customers purchased that product. When you place an order for a product, we offer the use of a secure server. At the time of submitting your Credit Card & debit card details you will be redirected to a Highly Secure Payment server. We at Paaneri see to that your privacy is maintained at all time during your time of shopping at our eStore. We will not disclose any sort of personally identifiable information except when you give us requisite permission or under special circumstances such as when the law requires it. We collect information about you for to process your order and to provide you with the best possible service. We will give you the chance to refuse any marketing email from us . 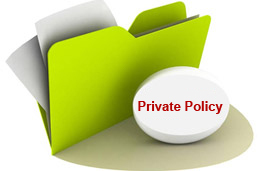 If you have any query about privacy, you should contact us.